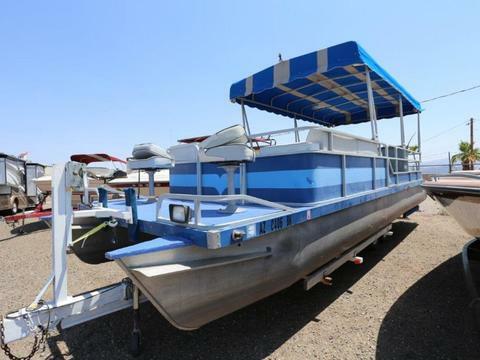 Outboard Johnson 115 HP, Sapcious boat with plenty of room for a party! Interior is tearing in several spots, sink staion for cooking or prepping fish. Solid canopy cover. Priced to sell.